last night i was on a call discussing a wedding day time line with a bride and groom. during our conversation, i was looking out the window and saw all the snow and it made me wish that summer would hurry up and get here. not long after the call, my heat went out. i wanted to be warm! it made me start thinking about the upcoming destination weddings. 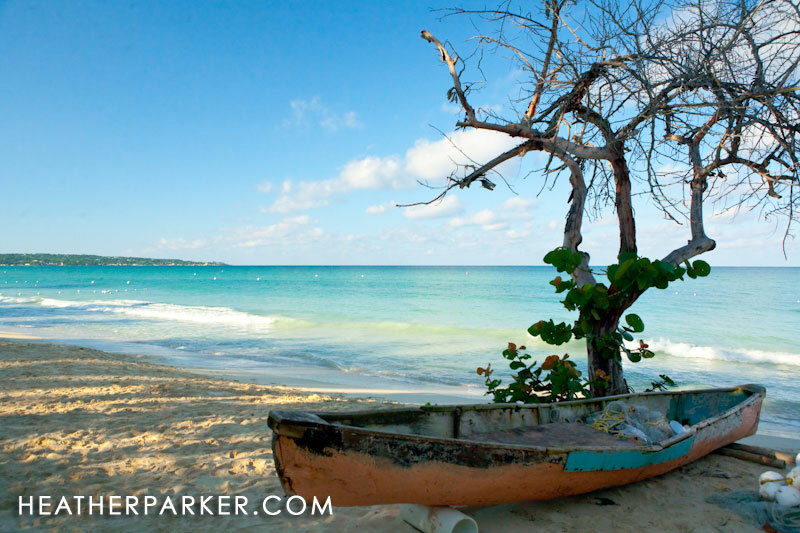 below is an early morning photo i took simply because i enjoyed how the rustic boat provided visual contrast to the idyllic turquoise caribbean sea. 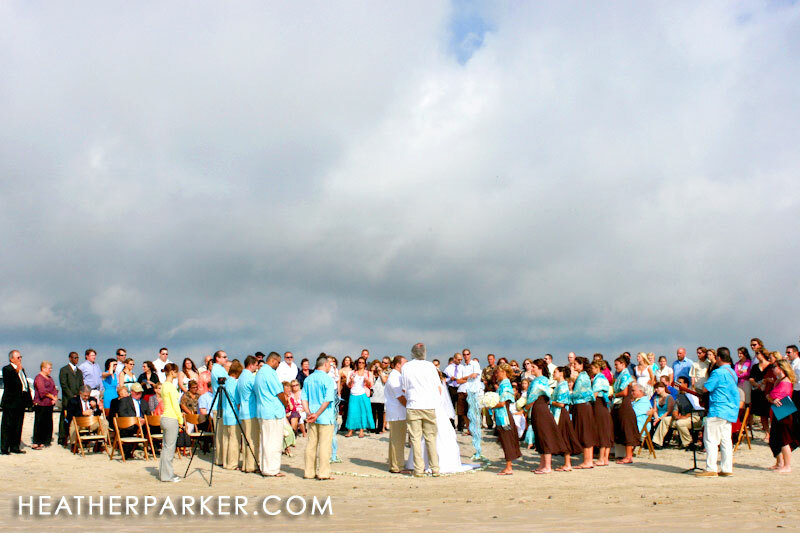 below is a photo of a destination wedding ceremony that i took while i was in the water. i didn’t actually mean to get in the water, it just sort of happened but once i got wet, i decided it was okay to be knee deep to get the shot. 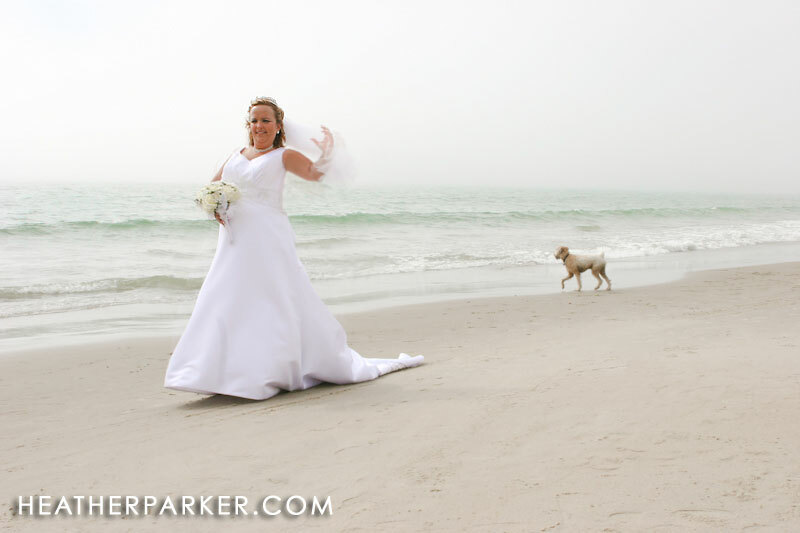 this wedding was also on the ocean however to get the same angle, there was more sand to walk on and i didn’t have to go swimming for the photo. 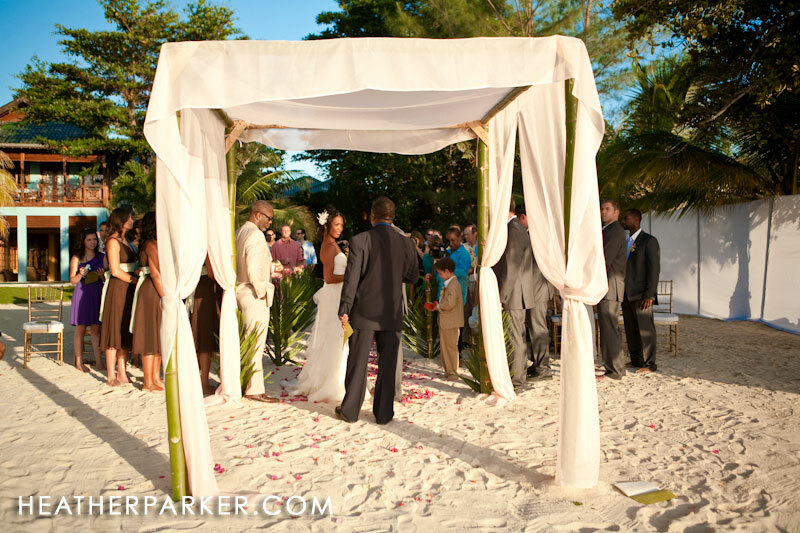 the couple used a chuppah but even for non jewish beach wedding ceremonies, brides often will use a wedding canopy or arch, made out of things borrowed from nature. in addition to bamboo trunks, i have seen four potted plants in the place of a chuppah. for fabric to create the canopy, some of the more interesting ones i have seen have incorporated simple solid colors or color combinations including aqua, celery, citrus themed with yellow, green and orange, navy and celery, and navy and pink. on of my brides put these DIY decorations together which work perfectly for destination weddings. 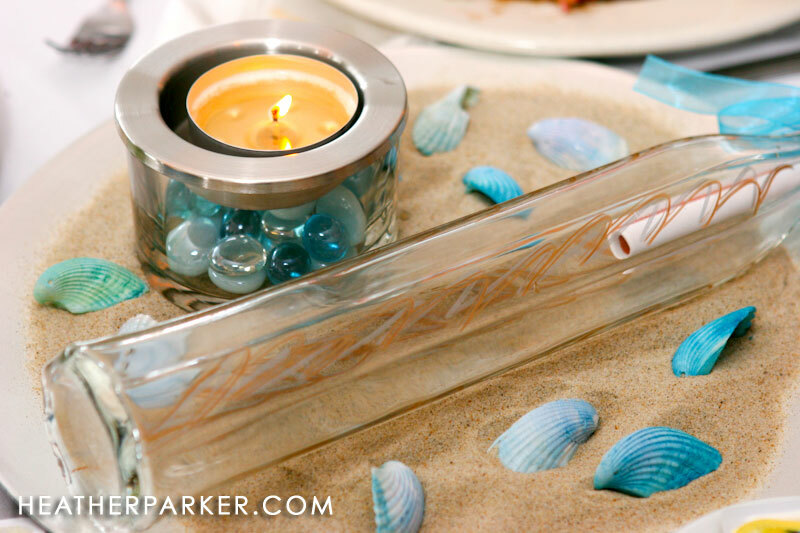 Sand, beach glass, shells, and river rocks along with candles work great for this type of decor. 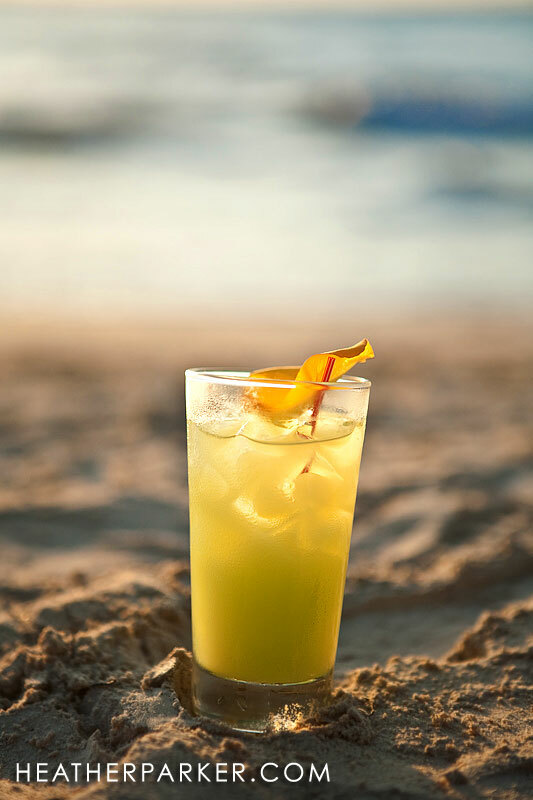 many wedding resorts are now creating signature cocktails for their brides and grooms.